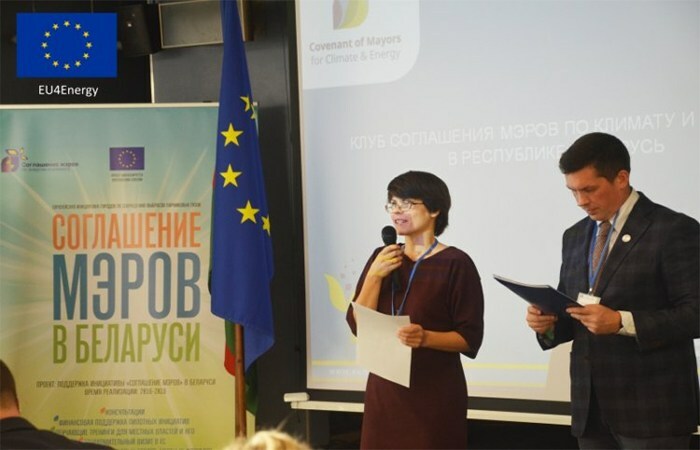 The international initiative “Covenant of Mayors for Climate and Energy” is gaining popularity among Belarusian cities. As of the beginning of 2019, 45 Belarusian cities and districts have joined it. All the signatories of the Covenant of Mayors undertake the responsibility to reduce their greenhouse gas emissions and to develop a Sustainable Energy and Climate Action Plan (SECAP). In 2018, five more Belarusian towns – Kličau, Krasnapollie, Bychaŭ, Masty and Viciebsk – managed to develop their SECAPs with assistance from the international NGO Ecopartnership. They foresee reductions of greenhouse gas emissions by 30% by 2030.